Some parameters for the application can be changed on the settings page. Only administrators can change those settings. Go to the menu Settings, then choose Application settings on the left. 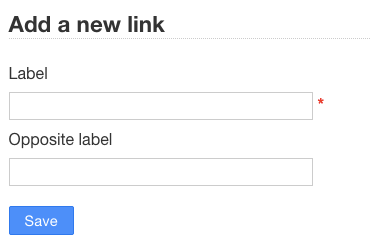 This parameter is used for email notifications. The email footer will contain a link to the Kanboard task. The application language can be changed at anytime. The language will be set for all users. By default, Kanboard use UTC as time zone, but you can define your own time zone. The list contains all supported time zones by your web server. Input format used for date fields, for examples the due date for tasks. The ISO 8601 format is always accepted (YYYY-MM-DD or YYYY_MM_DD). 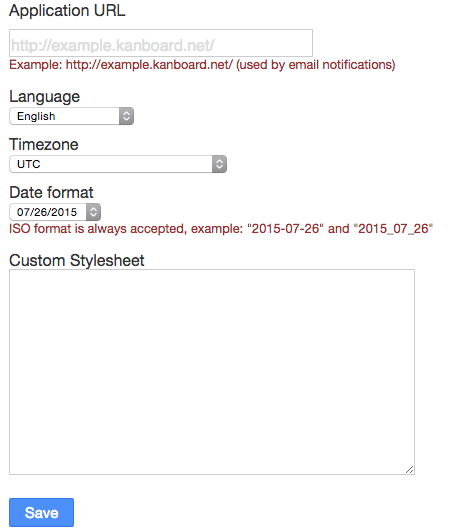 Write your own CSS to override or improve Kanboard default style. Go to the menu Settings, then choose Project settings on the left. You can change the default column names here. It’s useful if you always create projects with the same columns. Each column name must be separated by a comma. 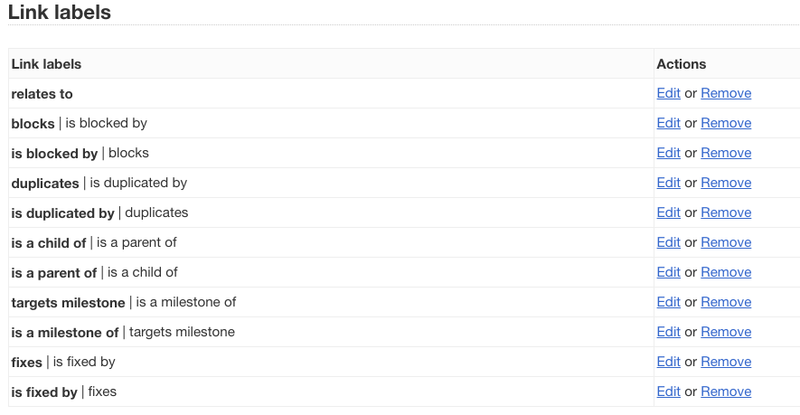 By default, Kanboard use those column names: Backlog, Ready, Work in progress and Done. Categories are not global to the application but attached to a project. Each project can have different categories. However, if you always create the same categories for all your projects, you can define here the list of categories to create automatically. When this option is enabled, a user can work with only one subtask at the time. 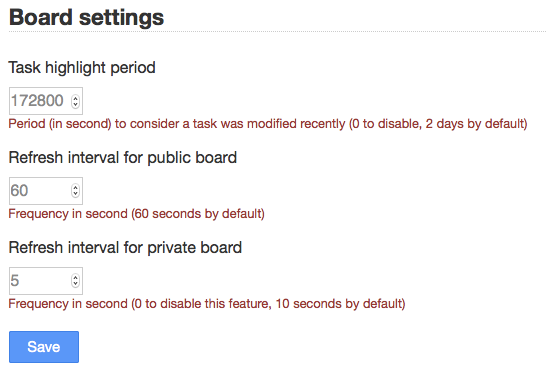 If enabled, when a subtask status is changed to “in progress”, the timer will start automatically. Disable this option if you don’t use time tracking. If enabled, closed tasks will be included in the cumulative flow diagram. If disabled, only open tasks will be included. Go to the menu Settings, then choose Board settings on the left. This feature displays a shadow around the task when a task is moved recently. Set the value 0 to disable this feature, 2 days by default (172800 seconds). Everything moved since 2 days will have shadow around the task. When you share a board, the page will refresh every 60 seconds automatically by default. When your web browser is open on a board, Kanboard checks every 10 seconds if something has been changed by someone else. Technically this process is done by Ajax polling. Go to the menu Settings, then choose Calendar settings on the left. This calendar shows tasks with defined due date and tasks based on the creation date or the start date. The start date of the calendar event is the creation date of the task. The end date of the event is the date of completion. The start date of the calendar event is the start date of the task. This date can be defined manually. If there is no start date the task will not appear on the calendar. 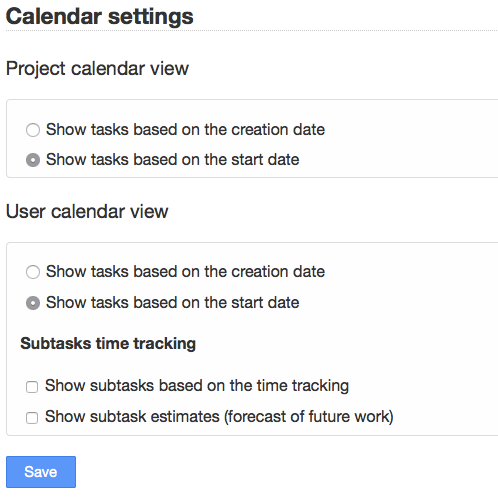 This calendar shows only tasks assigned to the user and optionally sub-tasks information. Display sub-tasks in the calendar from the information recorded in the time tracking table. The intersection with the user timetable is also calculated. 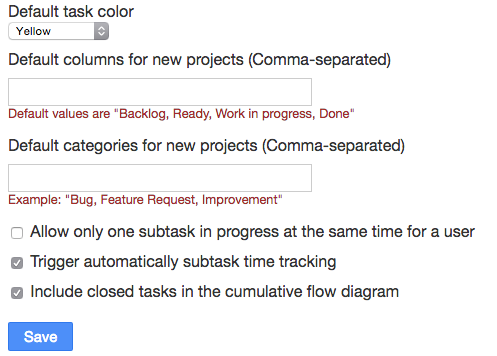 Display the estimate of future work for sub-tasks in status “todo” and with a defined “estimate” value. Each label may have an opposite label defined. If there is no opposite, the label is considered bidirectionnal.